A stock market quote is not just the current price of a particular stock on the market, but a look at the history of that stock. There are several important points relevant to stock quotes and understanding the stock market in general is vital to making use of information such as stock market quotes. The first thing to keep in mind about a stock quote is that the information is good only for a relatively short period of time. The stock market is a very fluid entity and prices change routinely. Not only will there be different quotes for a particular stock at the end of a day's trading, the price may very well change several times during the day. For this reason, it's vital to get updated quotes if you don't act on a stock market quote soon after it's offered. Here are some pieces of information that will be included on a typical stock market quote. The name of the company - This may sound like an elementary piece of data, but keep in mind that this will usually be the company as it appears on the stock exchange on which it's traded. It may very well be only a couple of letters so you need to know the trade name of a company before you accept a stock quote. There may also be letters on this portion of the quote to help you determine special features about the stock. It is also known as stock symbols. High and low - There will usually be a 52-week high and low unless the company hasn't been traded for at least one year prior to the quote. These numbers will represent the highest and lowest point of the stock's history and can be used to judge the amount of fluctuation for any particular stock. In addition, there'll be a daily high and low to tell you where the stock has been traded during the current day's activity. You'll also find the price at the close of the current day's trading, if trading has ceased. and total number of stocks being traded will also be included on a stock quote. There are several common ways to obtain stock quotes. One of the most popular is to purchase stock quotes from a company. 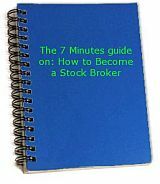 In this case, you'll typically subscribe to a newsletter or some other form of information in which quotes for particular stocks are given along with general information about stocks, the stock market and trading. Trends and hot stocks may be profiled, or you may purchase nothing more than quotes for certain stocks. If you're looking for information about specific stocks, you may choose to get those from your broker or agent who handles your trade. Some offer this service free to existing customers while others may charge for stock quotes. In the early days of stock market trading, information was sent verbally. Today, stock quotes and various information about the stock market is communicated in many ways, including by use of a stock ticker. It's important to evaluate the reliability of the source when you choose to follow up on stock quotes. Learning to read and understand a stock market quote is vital to using the information to benefit your financial portfolio.